I had the opportunity to visit Bayerischer Bahnhof this past summer on our trip to Germany. Bayerischer Bahnhof is located in Leipzig, in the old Bavarian train station located near downtown. I’ve been here several times over the past few years and I really dig the style of renovated train station, modern menu, combined with biergarten, stammtisch and traditional German bier hall. Here are my notes from the trip (from Facebook). I’m going to do a “Best of the Best” series to open up some of the posts from Facebook to a wider audience. Bayerischer Bahnhof Leipziger Gose. A lot of notes to write, so bear with me. Here’s a glass of Gose and pretzels at the Bayerischer Bahnhof Biergarten. Every town in the U.S. needs a place like this. It’s a beautifully restored old train station, but feels very contemporary and has good German, yet progressive food. Nice relaxing Biergarten, in downtown Leipzig. Lots of families, businessmen, students coming and going. And a playground for the kids. The Gose is pretty much as I remember, and really not too far off from what I’ve brewed in the past. I think I know what to improve next time, but it’s on the right track. We have been talking a lot about that elusive “German Flavor”. Kai has a great video that talks about it, and obviously he is on that quest as well. What are your thoughts and experiences with that German/European beer flavor and what have you done to re-create it in your beers? We’ve created a forum for German Brewing discussion, come check it out! We welcome discussion about all things German brewing and beer related. Including brewing process, ingredients and recipes, commercial styles, and German food and culture as it relates to German beer (and what German culture doesn’t :)? No German Brewing discussion would be complete without mention of Kai’s Braukaiser site. A wealth of technical information on German brewing, including mashing, fermentation, recipes, carbonation, and numerous experiments Kai has performed over the years. 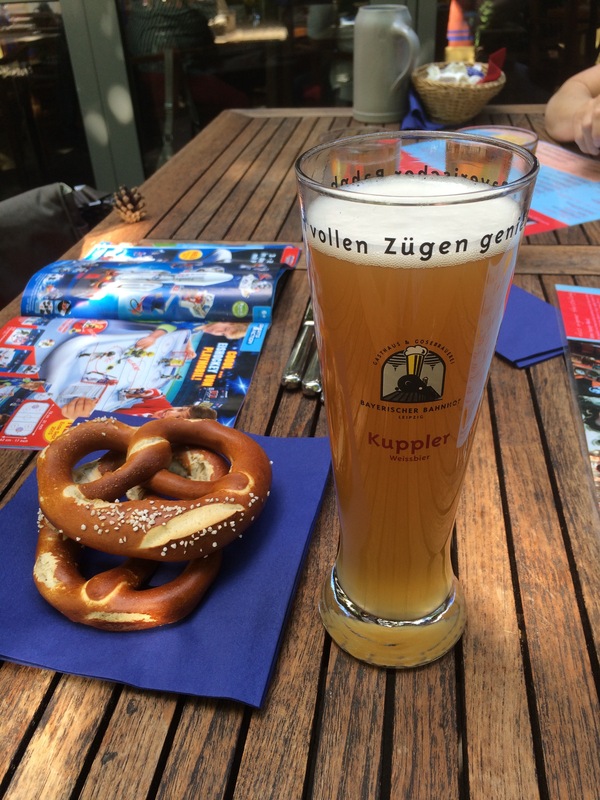 Here’s a great site that talks about brewing the perfect Munich Helles. Including recipe ideas (from the Narziss German brewing book), mashing, fermentation, etc. It’s a great read for gaining insight into how German Brewers brew the most delicate style. This site is dedicated to German beer brewing, beer culture and German culture in general. Beer is such an integral part of German culture that anything goes. For discussion of brewing questions, recipes, ingredients and ideas on process and technique. Please tell us your stories about Germany, German beer reviews and travel adventures. You can also find us on our popular and fun German Brewing Facebook group. And don’t forget to check out our Forum for discussion about all things German beer related, including brewing process and techniques, styles, recipes, and German food and culture discussion. The forum requires registration before you can access all of the content and post. We have one section, the Biergarten, which is open to all.